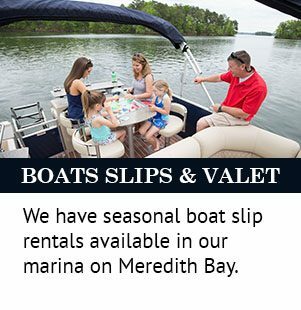 Meredith Marina - A full-service marina dedicated to your boating pleasure. Looking for a Spring deal? Call today and learn how you can save thousands on our 2017-2018 Rental boats while they last. 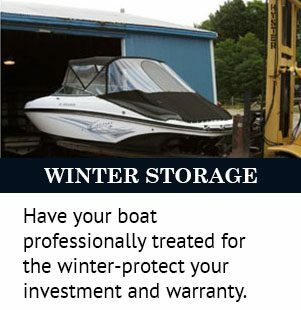 These boats are in great shape with low hours and come with a full warranty. Located in Meredith New Hampshire right on Lake Winnipesaukee, we are a full service Marina dedicated to your boating pleasure. 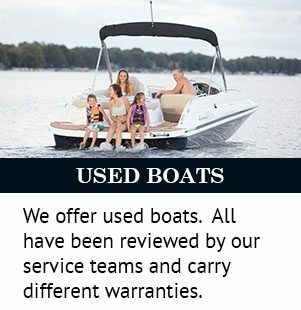 Whether you’re looking for a new boat, used boat or rental boat; a trailer, an anchor, or a fish finder; or simply a boat registration, we’ve got what it takes to put you on the water.Our Service Department is staffed with experienced, Mercury, Mercruiser, Yamaha, and Volvo Penta certified technicians ready to tackle all your maintenance issues. 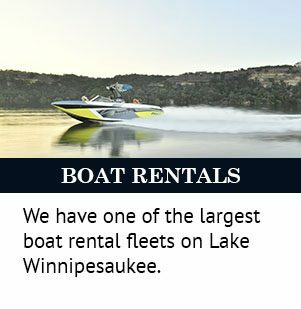 From a simple boat wash and wax to professional fiberglass repair or major engine work, we can get the job done quickly and at the best prices on the lake. With boat slips scarce and at a premium on the lake, our valet service offers boaters a cost-effective alternative to boating and storage. Simply call us an hour before you want to be on the water, and your boat will be waiting for you, fueled and ready to go. 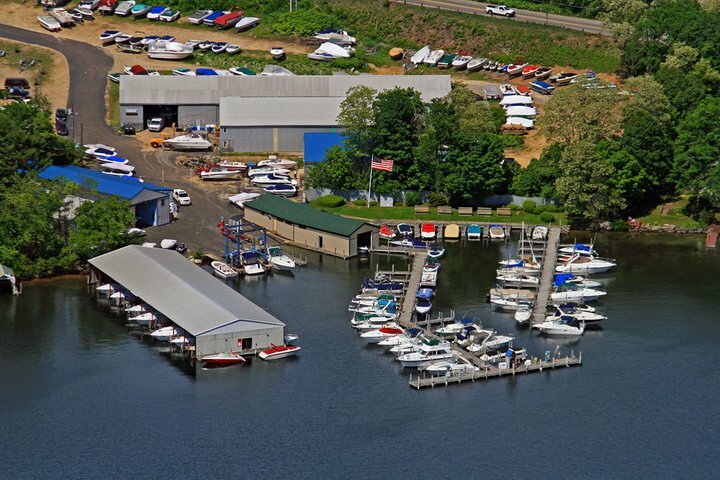 We also have a pump-out facility and a gas dock for visiting boaters.